There is not a day that goes by that we do not get to hear some sort of news from a member of the Kardashian and Jenner family, whether it be good, bad, happy or sad, with Khloe Kardashian being the one making most of the headlines recently. Unfortunately for Khloe, most of these headlines seem to be for bad and sad reasons, especially when it comes to her relationship with Tristan Thompson. 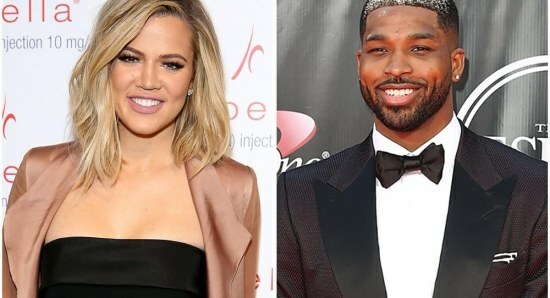 There have been a lot of rumours about the relationship between Khloe Kardashian and Tristan Thompson, who have baby daughter True together, with many people suggesting that the basketball star has been cheating on her. However, it has looked like the couple have been trying to work things out, which has led to the haters giving Khloe some stick for standing by her man, so the reality television star has now hit back at these haters. Kardashian took to her official Twitter account to let all of the haters know how she feels, saying, "Misery loves company ... people can't stand for someone else to flourish and be happy. Nowadays people thrive off ones downfall rather than their success. Sadly (sic)." We have to admit that we absolutely love Khloe Kardashian and if staying with Tristan Thompson and trying to make a go of things as a family is the way she wants to go, then we fully back her and support her decisions. The haters are always going to be there and they are always going to hate, so it is sometimes best to just ignore them and not give them the rise they are after.